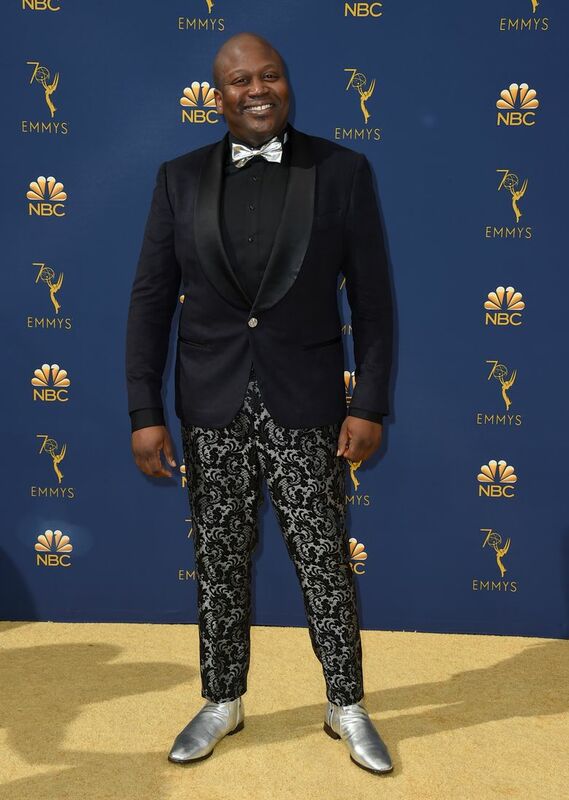 NEW YORK (AP) — Jenifer Lewis stood with Nike in a bedazzled swoosh sweatshirt on the Emmys new gold carpet and Scarlett Johansson stunned as a goddess in white during the parade of fashion on TV’s biggest night. Johansson’s gown featured drop sleeves with a plunging neckline and high side slit. She posed with her boyfriend and one of the evening’s co-hosts, Colin Jost, her blonde bob swept back. 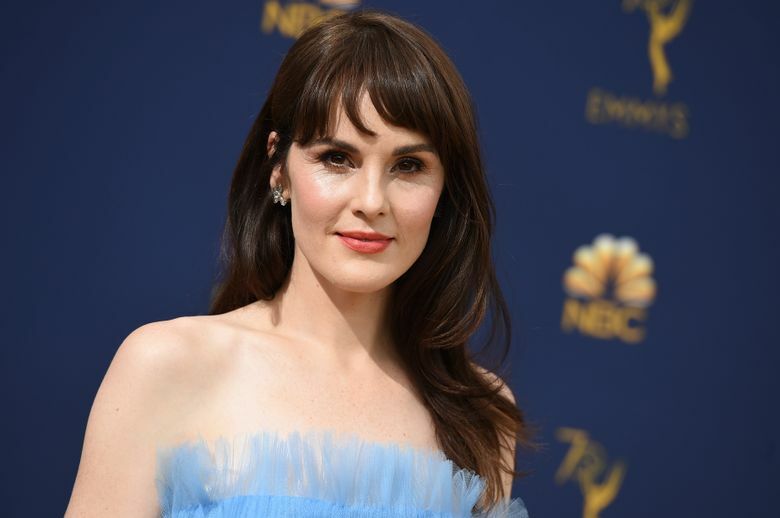 The actress accessorized with diamond chandelier earrings, her flower back tattoos on display. 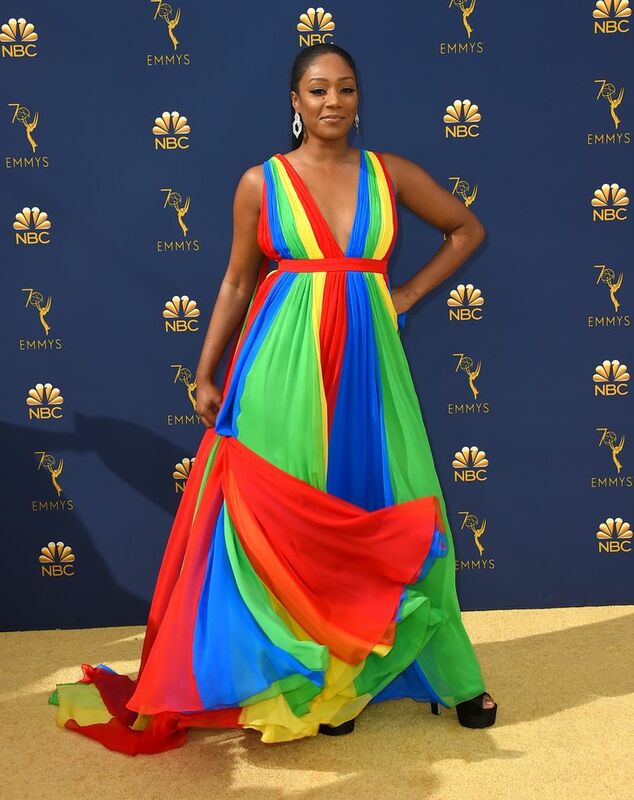 Tiffany Haddish was her own kind of goddess in a custom look by Prabal Gurung. She asked the designer to help her honor her father in the colors of the Eritrean flag and Gurung didn’t disappoint with a look of bright vertical stripes in red, yellow, blue and green. She wore her hair in a high long ponytail. The gown was reminiscent of the collection Gurung showed at the recent New York Fashion Week. RuPaul spoke with reporters in a white double-breasted suit by Calvin Klein by Appointment, adorned with an Andy Warhol print of black Statues of Liberty. 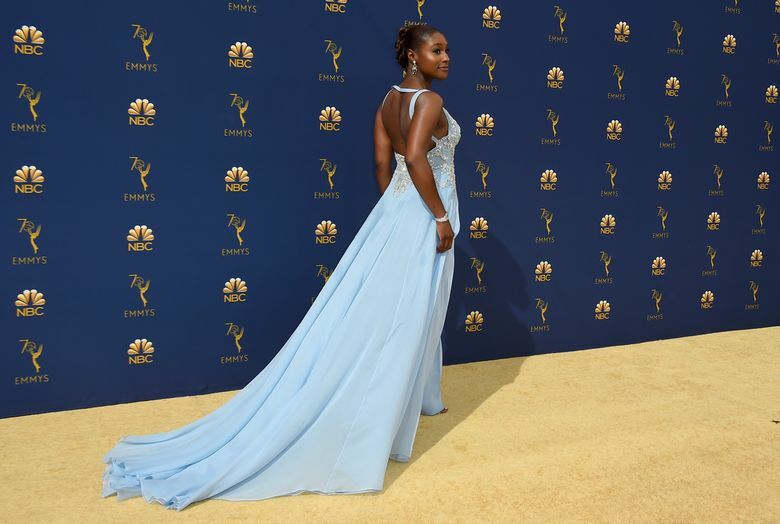 Issa Rae, meanwhile, wore a baby blue custom look from Vera Wang with a flowing, embellished plunging top that cascaded into a train and loose pants underneath. “I’m, like, are you serious right now,” Rae said of her sparkly outfit. 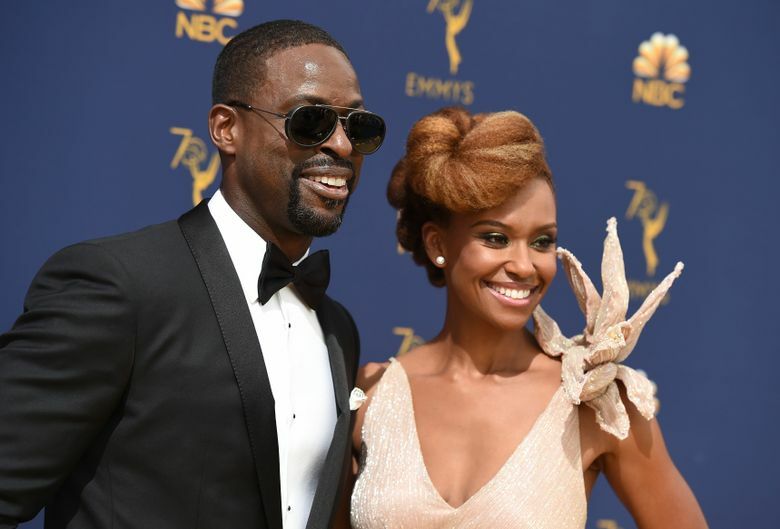 The look for Lewis, the “black-ish” actress, came after Nike faced backlash for featuring quarterback Colin Kaepernick as the company’s new face. She wore a red-and-black sweatshirt with Nike emblazoned on it and the studded swoosh. She accented her black leggings and black-and-white pattern boots with a diamond bracelet and ring. Lewis said she wore Nike “in support of Colin Kaepernick’s protest against police brutality and racial injustice,” referring to the quarterback’s controversy over taking a knee. 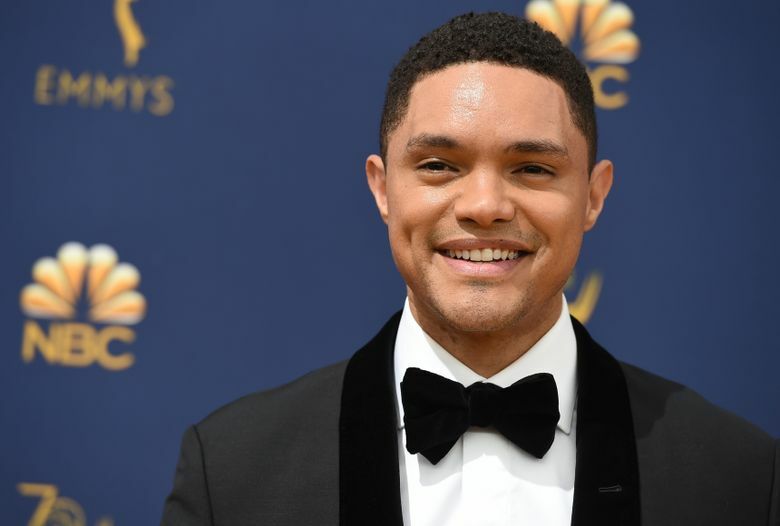 One of the evening’s first stunners was worn by Angela Sarafyan of “Westworld.” She smiled, posed in a black strapless ball gown and said it best: “Sparkles!” Trevor Noah, meanwhile, fended off a sticky star marking spots on the carpet. One stuck to the bottom of a shoe, allowing him to show off his red soles. 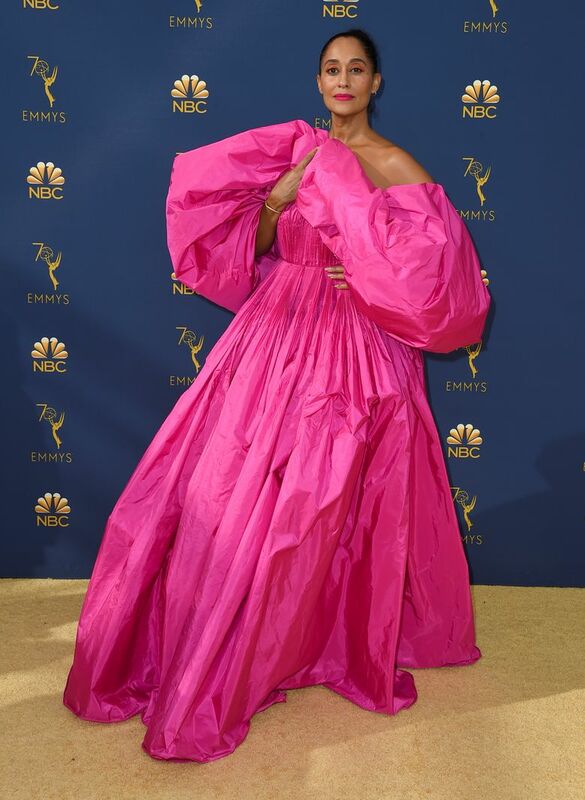 And then there was Tracee Ellis Ross, a cloud of pink from her drop shoulders to her hem, the top part of her, um, statement dress held up by all-around elastic. To say there was volume is an understatement. 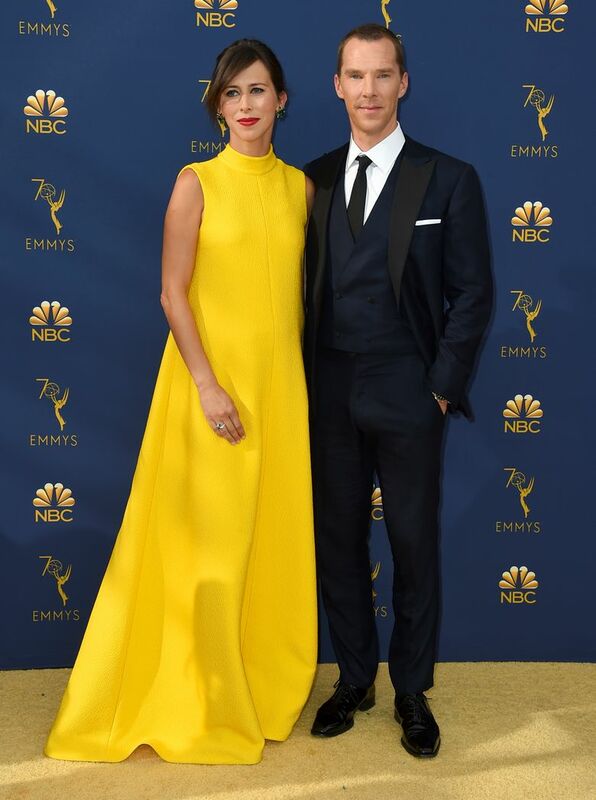 Allison Janney, also usually impeccable on big carpets, showed up in showgirl fuchsia best seen through shades. 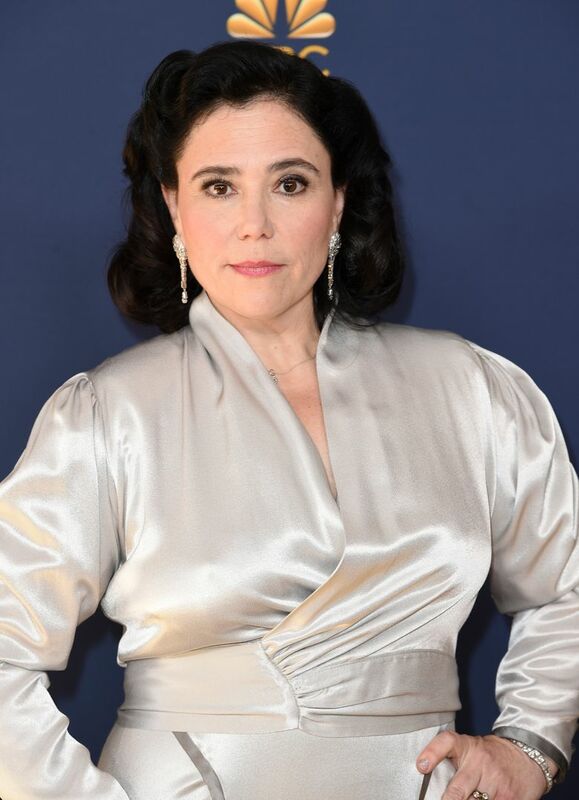 Sandra Oh, was in a deep red column gown with just the right amount of embellishment on her short sleeves, high waist and down each side. 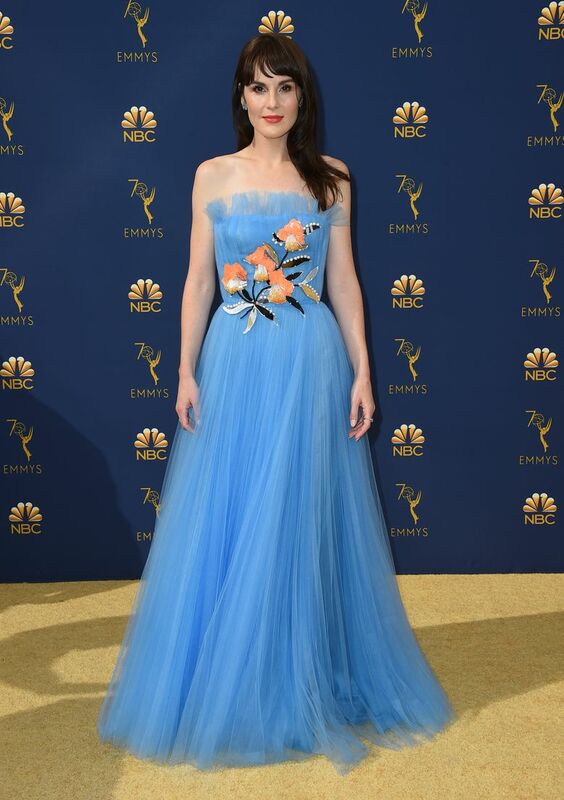 Also unique: Michelle Dockery, who twirled in a Carolina Herrera blue tulle gown with three-dimensional floral detailing on the bodice. 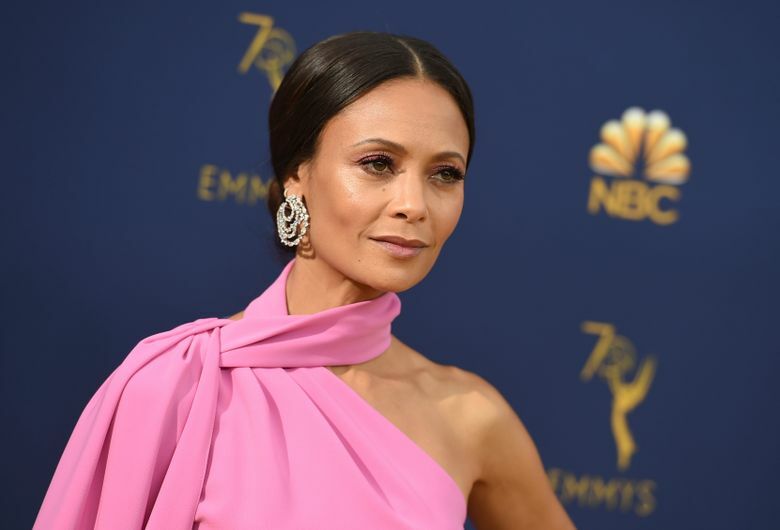 Thandie Newton joined Ellis Ross as a lady in bright pink, her gown with the night’s most winning neckline. It was high and looped into a long train-like effect down one side. 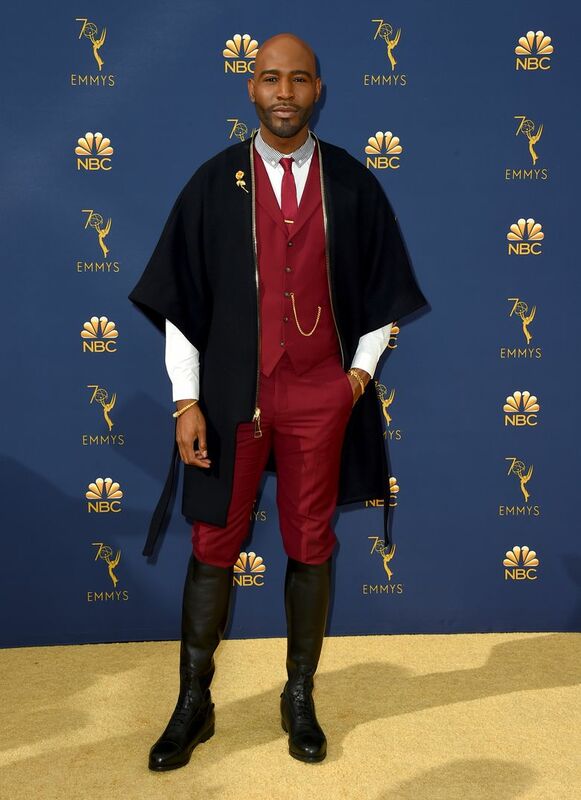 Zazie Beetz of the FX series “Atlanta” also stood out in a dress that had fans on social media declaring her the queen of Afrofuturism. It had open sleeves with chunky embellishment for an armor effect, her hair big and natural.